Awesome Stories delivers the stories—and the stories behind the stories—from films, books, history, current events, culture and art. 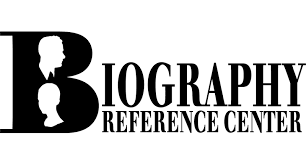 Biography in Context - Periodicals and multimedia for those seeking contextual information on influential people. User-friendly organization that allows users to search for people based on name, occupation, nationality, ethnicity, birth/death dates and places, or gender as well as keyword and full text. This vast collection provides the original sources and personal accounts of humankind’s social, political, legal, and religious development, as well as some of the greatest discoveries, insights, and literary achievements in the words of the actual authors, discoverers, and knowledge-seekers. Three unique interfaces to thousands of curriculum-relevant articles, images, videos, audio clips, primary sources, maps, editor-recommended websites, and three separate databases make Britannica School the go-to site for research for students at all levels. Citation Machine™ automatically generates citations in MLA, APA, Chicago, Turabian, and thousands more! A database of encyclopedias and specialized reference sources for multidisciplinary research. Global Issues in Context is a media-rich, content-driven, easy-to-use e-resource that spans the globe to bring essential and balanced information to readers seeking to understand crucial international issues and news headlines with a single search. Periodical database designed for high-school students with access to a variety of indexed and full-text magazines, newspapers, podcasts, and reference books for information on current events, the arts, science, popular culture, health, people, government, history, sports and more. Designed for secondary schools, public libraries, junior/community colleges and undergraduate research, this database features full text for thousands of primary source documents and informational texts. With Issues and Controversies in American History, history comes to life, not as a mere recitation of names and dates but as a series of turning points where the future hung in the balance and opinions raged on all sides. This accessible educational database delivers dynamic, concise, and balanced coverage that provides the background, outcome, and contemporary points of view for every major debate and conflict in American history. All articles feature multiple primary sources, essential to understanding our nation's past. Content published before 1923 - periodicals, newspapers, and some books. 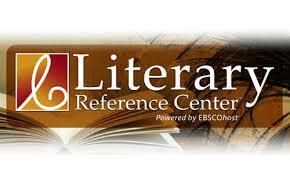 Combining information from major respected reference works, books, literary journals and original content from EBSCO, Literary Reference Center features an expansive collection of author biographies, plot summaries and full-text essays from leading publishers. It also includes literary reference books and monographs, cover-to-cover full text for literary magazines and book reviews from the most prestigious publications. It offers poems from hundreds of sources, short stories, classic texts, author interviews and much more. Chronicling America - Search America's historic newspaper pages from 1836-1922. The Cornell University Library Making of America Collection is a digital library of primary sources in American social history from the antebellum period through reconstruction. The collection is particularly strong in the subject areas of education, psychology, American history, sociology, religion, and science and technology. This site provides access to 267 monograph volumes and over 100,000 journal articles with 19th century imprints. University of Michgan - Making of America (MoA) is a digital library of primary sources in American social history from the antebellum period through reconstruction. The collection is particularly strong in the subject areas of education, psychology, American history, sociology, religion, and science and technology. The collection currently contains approximately 10,000 books and 50,000 journal articles with 19th century imprints. MedlinePlus is the National Institutes of Health's Web site for patients and their families and friends. Produced by the National Library of Medicine, the world’s largest medical library, it brings you information about diseases, conditions, and wellness issues in language you can understand. MedlinePlus offers reliable, up-to-date health information, anytime, anywhere, for free. You can use MedlinePlus to learn about the latest treatments, look up information on a drug or supplement, find out the meanings of words, or view medical videos or illustrations. You can also get links to the latest medical research on your topic or find out about clinical trials on a disease or condition. Opposing Viewpoints Resource Center is a full-text resource covering significant social issues. This database provides pro and con viewpoint articles, reference articles that provide context, full-text magazines, academic journals, and newspapers, primary source documents, government and organizational statistics, multimedia, including images and podcasts, and links to web resources. Pop Culture Universe: Icons Idols Ideas (PCU) on popular culture in America, both past and present. Provides access to over 3,500 entries adapted, updated, and reedited from award-winning content. A broad range of historical documents on important authors, events, and subjects in American and World history, along with biographies of the most significant and influential people throughout history. This comprehensive research database provides easy access to a wealth of full-text, science-oriented content. Designed to meet every student researcher's needs, Science Reference Center contains full text for hundreds of science encyclopedias, reference books, periodicals and other reliable sources. In addition, the database includes a vast collection of images from sources such as UPI, Getty, NASA, National Geographic and the Nature Picture Library. For those seeking contextual information on hundreds of science topics. Content with full-text magazines, academic journals, news articles, experiments, images, videos, audio files and links to vetted websites. This database offers exclusive full text for many top consumer small business reference books, as well as the necessary tools and instructions to address a wide-range of small business topics. In addition, it provides business videos, a help and advice section, and information on how to create business plans. Offers readers a collection of state-specific resources supported with demographic data and other local information. Completing the database are business videos that provide critical information for business owners including interviews, "lessons learned" features, lectures and "how to" videos to help foster success in all aspects of managing a business. The Social Welfare History Image Portal brings together photographs, pamphlets, artifacts and documents chronicling the history of the nation's response to human need. This history includes the work of volunteer organizations, reform movements, social workers, and government legislation and systems. An engaging online experience for those seeking contextual information on a broad range of topics, people, places, and events. Authoritative reference content with full-text magazines, academic journals, news articles, primary source documents, images, videos, audio files and links to vetted websites. Ted Talks - 2000+ talks to stir your curiosity. A virtual library created by the Utah State Library Division in cooperation with Utah's public libraries. General encyclopedia - Students, Kids, and Spanish language editions. Used for pre-research background information on a research topic.